I've been working on a few different projects this week. It recently occurred to me that with Christmas only 44 days away, I'd better get to work on Finn's birthday crown. 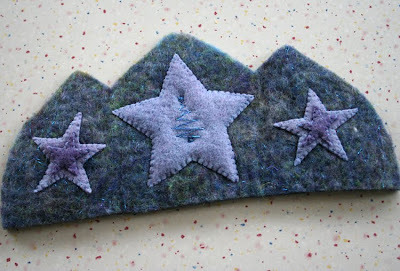 I wish I'd made the crown part a bit wider, but since I felted it by hand, it was hard to get the length I wanted. I guess his stretchy band part will just be longer than usual. After wracking my brain to figure out how I wanted to represent, not only Finn's winter birthday, but the fact he has a Christmas birthday, I decided to go with blues and purples of winter, sparkles (which don't show up well here) for the magic of the season, stars for Bethlehem's "star in the east", a total of 5 stars because Finn was born at 5 am, and an embroidered sparkly Christmas tree on the center star because he is a Christmas baby. I'm trying to decide if I'm done with the felt part. I may add a sequins snowflake for each year of his life, but I can't decide if that would be overkill. Thoughts? Still plugging along on Paulie's Christmas blanket. I'm 80% complete now. Woohoo! 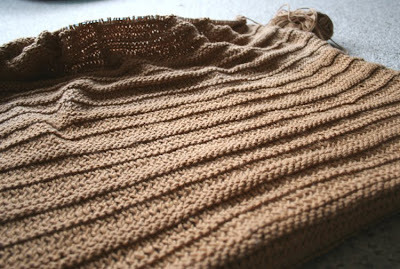 I've barely begun on Finn's new sweater, but I just needed to see how those stripes were going to work up. 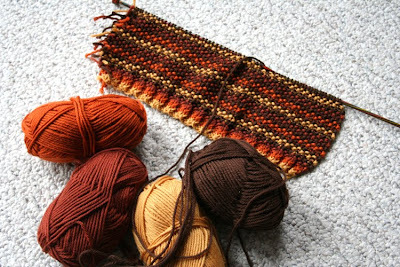 I'm hoping to tackle this once Paulie's blanket is finished. 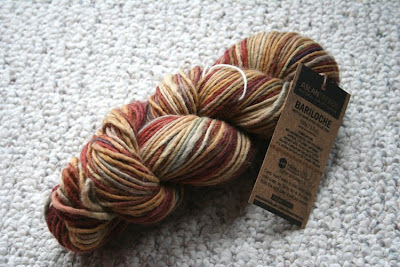 And, because something must always be coming down the pipe, Finn will likely have a scarf out of this AslanTrends Bariloche in the Earthly Seasons colorway. We now have 12 bottles of vanilla extract waiting the required month to cure to be given to teachers and other special folks in our lives. 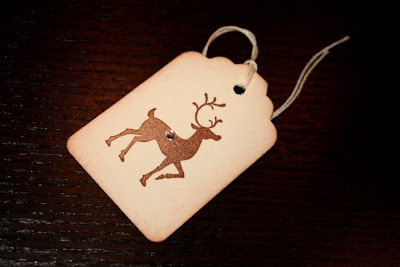 We also bought these adorable vintage Christmas tags on etsy to hang from our vanilla extract bottles. 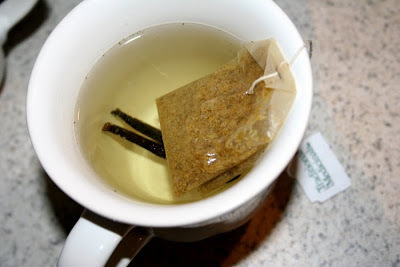 Of course, when we were finished, a cup of honey vanilla chamomile beckoned. The crown is perfect Joy! I'm thinking about vanilla extract now, how fun to make. 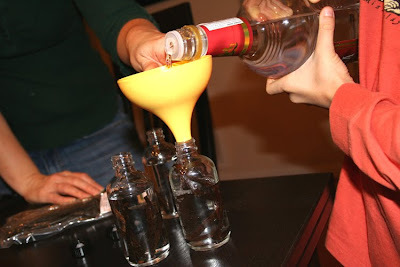 I've always wanted to try the extract-- cool idea! The crown is precious! I think Finn will be thrilled. 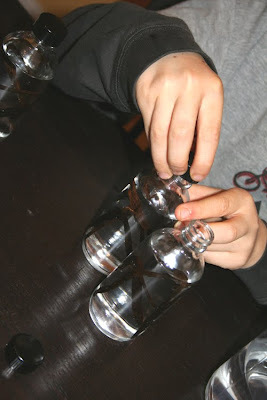 And what a cool idea to make Vanilla extract. I will put that on the list. I've never even thought of vanilla!! Oh, and I love the browns! How wonderful! That crown really is perfect and making vanilla is a brilliant idea!! That birthday crown turned out so cute! 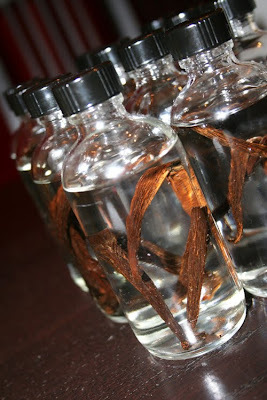 The vanilla extract will be such a nice present to give and receive...great idea! I was just chatting with friends the other day and we were deciding on what to make as our holiday gift to give: hand-mixed herbal teas or vanilla extract...now my vote is for the extract! I love the crown, the colors are wonderful! Vanilla extract is so lovely to make, we made a few over the end of the summer as well as Echinacea. What a cozy handmade Christmas your family will have! what a great idea. the crown is so perfect and i like the idea of vanilla.